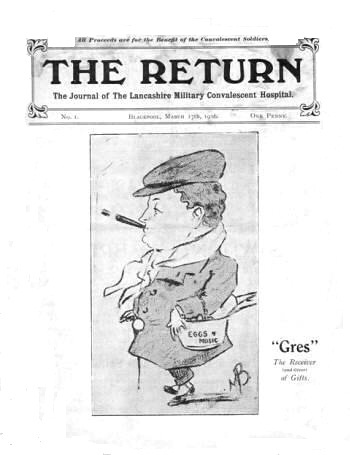 The Return - The Journal of the Lancashire Military Convalescent Hospital. Issue no.1, published 17th March, 1916. In 1916 the army commandeered the Clifton Park Racecourse at Squires Gate (site of present Blackpool Airport) and converted it to house & treat wounded soldiers. It was known as The King's Lancashire Military Convalescent Hospital.